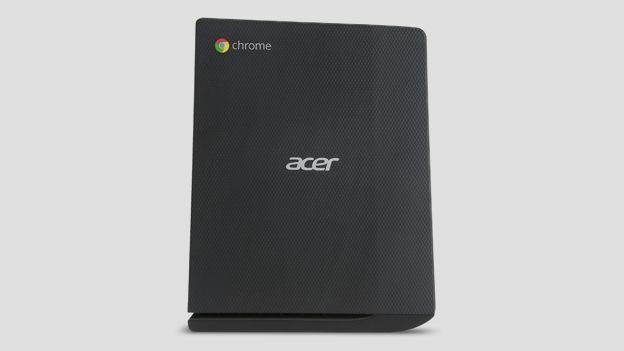 Acer's announced an extension of its Chrome OS device line-up with a spanking new Google-powered desktop. The Chromebox CXI is a pint-sized, budget-friendly PC that works in much the same way as your standard Chromebook, but isn't designed to be lugged about on the tubes. “The Acer Chromebox CXI is an excellent fit for schools or businesses where conserving costs and space are high priorities,” says Simon Hwang, president of Acer's Stationary Computing division. The Chomebox CXI runs off Intel's 64-bit 1.4GHz Celeron 2957U processor which launched late last year, with 4GB of DDR3 memory in tow. It uses standard integrated Intel HD graphics, so while the specs are okay for your basic computing, the Chromebox definitely won't be a choice platform for gamers. In terms of connectivity, you're looking at 802.11a/b/g/n WiFi, Bluetooth 4.0, an ethernet port, four USB 3.0 ports, and an SD card reader supporting up to 32GB of bonus storage. There's also a HDMI port and DisplayPort, as well as a standard audio jack - the usual gear, really. Fortunately, the device is very nippy thanks to its 16GB SSD storage, meaning the device will boot up in around 8 seconds and can resume almost instantly from sleep mode. It comes with a raft of pre-installed web apps, plus there's access to 30,000 additional apps, themes, and extensions courtesy of the Chrome OS web store. The 4GB RAM model is expected to cost $219.99 (£133), while the 2GB model will mark-up at a slightly fairer $179.99 (£108). It's worth noting that although the device is pegged for release in September in the US, there's no word on whether it will ever make it to UK soil.